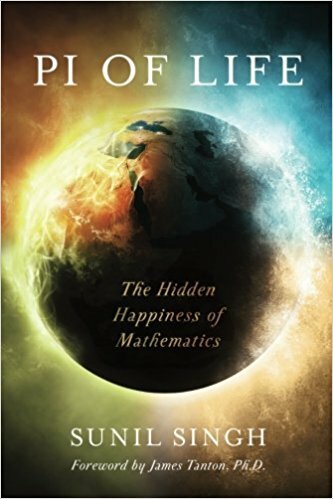 Join author Sunil Singh and MoMath at Volumes, the MoMath book club, on Thursday, May 10, to discuss Sunil’s book Pi of Life: The Hidden Happiness of Mathematics. Is the most important language in the universe also capable of making us happy in simple and profound ways? Can we really weave the foundations of lifelong joy — humility, gratitude, connection, etc. — through the apparent complexity of numbers? Have we oversold the practicality of mathematics, while ignoring its larger and more human purposes — happiness? In Pi of Life: The Hidden Happiness of Mathematics, Sunil Singh takes the readers on a unique adventure, discovering that all the elements that are essential for lifelong happiness are deeply intertwined with the magic of mathematics. Buy your book today from Additions: the shop at MoMath, and have it signed by the author after the discussion!